Elevators often play a big role in movies and TV. They can be clandestine meeting places, portals to self-realization, and cages that can leave a person trapped in a living nightmare (those last two often seem to go together). Amusement parks have even managed to turn them into a source of adrenaline-laced entertainment. Know anyone who has ridden the “Tower of Terror” by Disney? 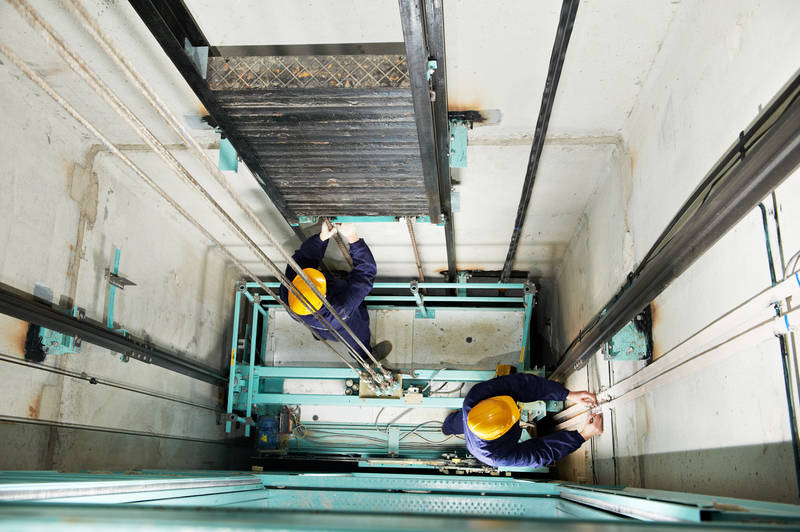 Despite what movies and park rides like to have you believe, there are so many safety features in elevator construction that the likelihood of one plummeting into the basement is very small. Ever wondered what those safety features are? Here’s a description of some. Cable elevator systems are complete with special cables constructed of several lengths or steel material wrapped around each other. The construction makes it difficult for enough force to be applied to snap them. But, what if one does? 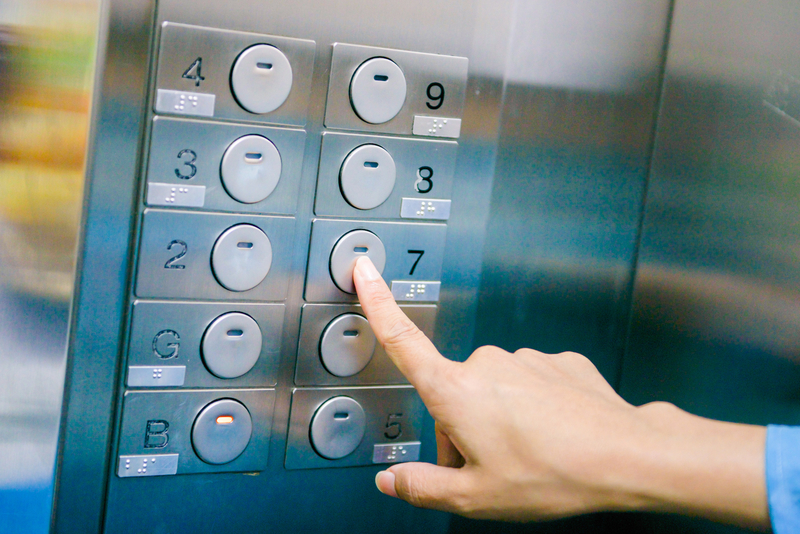 The most common design for cable elevators uses up to 8 cables per shaft, even though only one is required to make the elevator work and hold the weight of the car. The extra cables provide a large margin for error within the system. Additionally, each cable is protected by a sheave. The sheave is a type of pulley with a grooved rim surface place at the top of each shaft. The grooves grip the cables, causing them to move with the cable instead of rubbing against them. Finally, regulations require regular inspection of all cables, making it nearly impossible for a catastrophic break-down to occur. Let’s say for argument’s sake that all the cables do snap. Would the elevator plummet? The answer is still probably no. In the event that the system registers a problem (like uncontrolled falling), the elevator’s safeties would be engaged by the governor pulley. The governor is a specific type of pulley that rotates at a preset rate when the elevator moves. If the governor begins to spin too fast, the centrifugal force activates the safeties. The safeties are a specialized braking system installed on the car of the elevator that is able to grab onto the rails that run along the length of the shaft. The friction of the rails on the car will provide some resistance. The pressure building from the compressed air below the car will also slow you down in a similar way that pistons compress air in a bicycle pump. The stronger the force, the more friction there is to slow you down. The air pressure created by the above mentioned compressed are in the shaft will slow the elevator down the closer it gets to the bottom. Most cable elevators designs include a built-in shock absorber located in the bottom of each shaft. 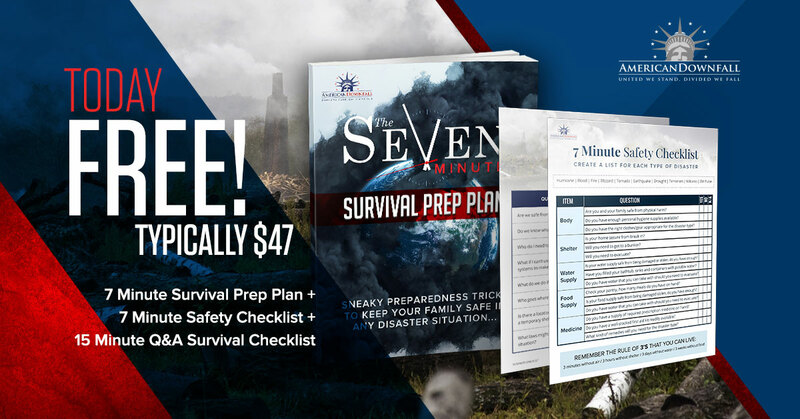 To make your chances even better, you’ll want to position yourself in the best possible way to withstand the impact. For a falling elevator, that would be by lying flat on the floor, on your back, and arms at your sides. This position will keep you stable and spread the force of the impact evenly throughout your body so that no single area takes the full force. Thanks to all of these features and natural laws of physics combined with some minor precautions, it is possible to survive a falling elevator.